Have you ever been stung by nettle? Or maybe you have tried a nettle soup? I bet at least one of the answers is affirmative! Stinging nettle is one of the most popular and widely distributed species in the world! You can hardly miss it, as it’s literally in every big area, which people inhabit – Europe, Asia, America, Africa, Australia and New Zealand. Although the physical contact with live nettle flowering plant is not pleasant, stinging nettle benefits for hair are undisputable. Below you will find tips and homemade recipes how to use nettle for your hair. You will also learn how to choose the best natural cosmetic products with nettle in the formula. What is stinging nettle, and how to treat a nettle sting? In fact, it is a weed, with sharp hairs (called trichomes) on the leaves. When you get in physical contact with nettle, it gets “defensive,” and injects an irritating substance in your skin, causing itching, redness, or sometimes small blisters. The stinging inflammatory effect on skin is due to chemical substances, like serotonin, choline, and histamine. How long does it take for stinging nettle to go away? Typically, the discomfort goes for a short period and doesn’t need additional treatment. If you get in contact with nettle, while having a walk, you can reduce the pain, by washing your skin with soap and cold water. If no water available, you can use a cloth, to remove the hairs. You could apply dock leaves as a natural remedy, rubbing the dock on the damaged skin area. Try not to scratch the itchy area, as well. Baking soda can also relieve the condition. The scientific name of nettle is Urtica dioica. But it is more famous with tags, like stinging nettle, nettle leaf, or common nettle. Another nettle species exists, called Acalypha indica, or Indian Nettle/Nettle leaf. Though designated as nettle, it is different from Urtica dioica – do not get confused, when reading the ingredients on the products’ labels. Nettle leaf in Tamil is called kuppaimeni. 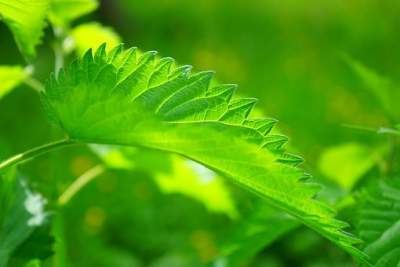 Nettle leaf in Hindi is called khokali. Now you have a basic “taxonomy map” to orientate yourself in the clutter of different nettle names and plants. Let’s now find out what is the chemical composition of stinging nettle, as revealing this data will help us understand why is nettle one of the best natural hair tonics. Stinging nettle is rich in minerals, like potassium, iron, calcium, manganese, and vitamins A, C, K, B, and E.
It contains amino acids and proteins. 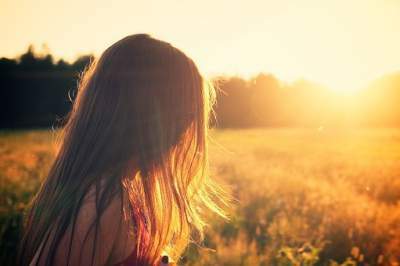 But what’s even more essential for your hair is the content of fatty acids, like linoleic and oleic acid. Linoleic acid is polyunsaturated omega 6 fatty acid, which is an essential one. Simply put, you can not produce it in your body, and have to find it from external sources, like nettle. A diet, which is poor in linoleic acid, can cause hair loss, and skin issues. Oleic acid is monounsaturated omega 9 fatty acid, which balances the blood pressure, reduces the bad (LDL) cholesterol, and increases the good (HDL) cholesterol. Experts use different parts of nettle, like leaves, roots, and seeds to derive the valuable compounds. They slightly vary in composition, but ultimately, we are talking about the nettle plant, which brings us the value we need. Now we can see what stays behind the powerful nettle properties for your body and hair. Let’s go one step further, and unhide how these chemical compounds of nettle turn into benefits. 3. It fights dandruff. Singing nettle essential oil is effective herbal hair tonic, thanks to all these minerals, antioxidants, and vitamins! 5. Drinking stinging nettle tea will help you for the internal purification of your body, thus improving the condition of your hair and skin. Well, in the next chapter you will learn how to use stinging nettle, to take care of your hair, using homemade solutions. You need a handful of fresh stinging nettle, 1 liter (34 fl oz) water, and 2 tablespoons apple vinegar. Boil the water and add the nettle and the vinegar. Strain the stinging nettle tea, and apply on your hair. Leave it for 20 minutes and wash with shampoo. You will thicken your hair, making it shiny. You need a handful (or 5 tablespoons) of fresh stinging nettle and 250 ml (8.5 fl oz) vodka. Mix the nettle and the liqueur in glassware, cover it with a lid and leave it for 6 days on a dry and cool place. This is enough time that the vodka will derive the valuable substances, out of the nettle. Massage your scalp once a day in the next two weeks. You need a handful of fresh stinging nettle and 300 ml (10 fl oz) wine vinegar. Blend the nettle and the vinegar. 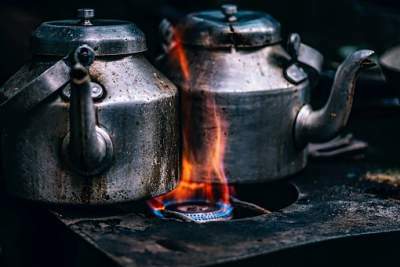 Boil the mixture for half an hour, strain it and apply on your hair. You need one whole stinging nettle plant (root, stem, and leaves), and 300 ml (10 fl oz) olive oil. Chop the nettle into small pieces. Put it with the oil in glassware. Keep the blend for 30 days in a dry and cool place. Remove the nettle, and use the olive oil mask to massage your scalp. Leave it overnight, or as long as possible for you. Apply it once a week, as this will typically be okay to keep your hair nourished, shiny, and healthy. No wonder, that experts use nettle in their formulas, to produce natural cosmetic products that nourish and strengthen hair, relieve seborrhea, reduce hair loss, stimulate hair growth. All you have to do is to find hair masks, shampoos, conditioners and herbal concentrates, which are appropriate and work well for you. How to understand which products on the market are qualitative? Read HERE some tips and good practices you could follow, when exploring different options. Don’t miss the opportunity to get an advantage of the stinging nettle benefits for hair! You already know what is it about, and how to use it! Find what nettle solutions work best for you, and apply them! I would love to hear from you! 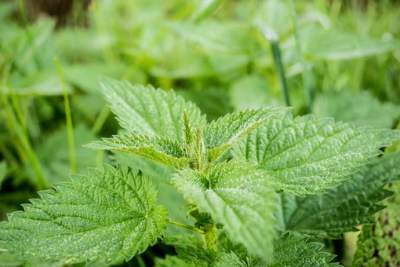 Do you (plan to) use stinging nettle? Leave me a message, and I will answer you!